Cats love cardboard. While cats can be perfectly content with an ordinary cardboard box, their owners might want something more decorative and unique. That’s why you can now buy cardboard cat toys shaped like different objects. Rather than let your cat play in an ordinary box, why not let your cat play inside a box made to look like a tank or an airplane? 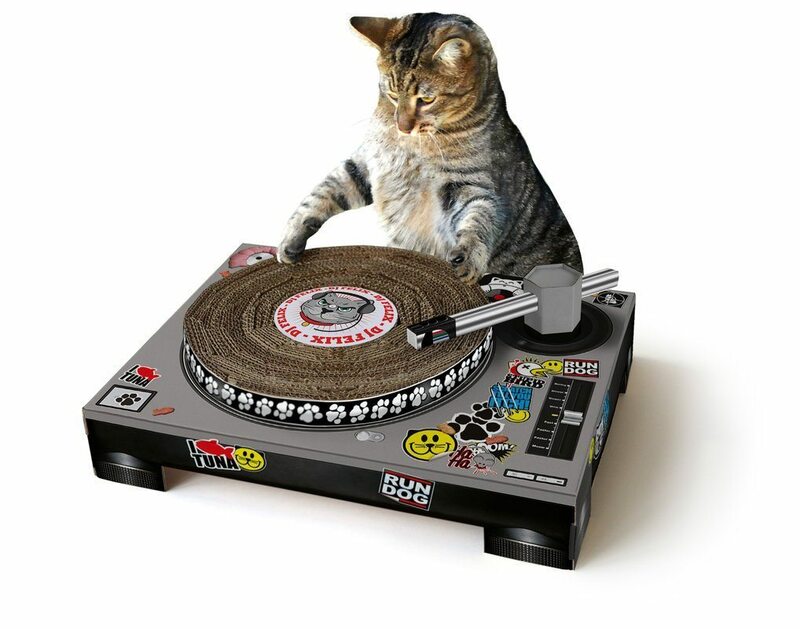 How about a scratching pad that looks like a laptop computer or a turntable? By giving your cat a unique cardboard toy, it can scratch and play with it or simply jump in the box that the toy came in and ignore the toy altogether. To see more unique cardboard toys for cats, click here.